Located about 14 miles north of Tonasket, and 3 miles south of Oroville, Whistler Canyon Trailhead is the only public access to the west side of Mt Hull from highway 97. It is being managed cooperatively by Okanogan County, BLM, the Forest Service, The Backcountry Horseman, Pacific NW Trails Association and other local user groups. One aspect of this area is that each cliff though relatively small is distinct and delightful in the quality of the hiking and climbing experiences. 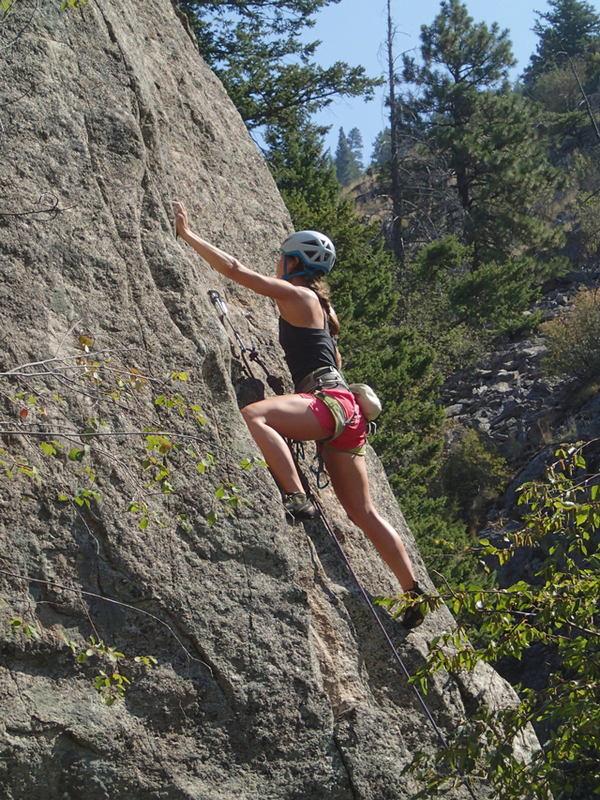 The rock cleans up to provide excellent climbing (on what is sometimes the best quality rock in Okanogan County), and there is plenty of shade at different times of the day. It is also possible to climb here every month of the year, weather permitting. Access from Hwy 97 is directly across from Gavin Rd (turn East up the white gravel road). The trail map and climbers kiosk is at the edge of the parking circle. Climbers information is on the back side of the kiosk. The trail (#100) to the main canyons (Whistler and North Canyons) begins just east of the parking area and heads north before turning SSE up the hillside to the old road bed. To access the NW Face hike north along the orchard fence line, for the North Canyon (and Windy Point) climbing follow trail #100 up a quarter mile, and turn left and follow the trail north towards “Frog Pond”. The main Whistler Canyon hiking/biking/horse trail (#100) is on up the main canyon to the East (ending after 11 miles near Summit Lake). There is an abundance of other wildlife to encounter here, including turkey, hawk, eagle, vulture, sheep, coyote, deer, bear and cougar. Watch out for rattle snakes from early-April to late-October, especially in loose rocky areas. 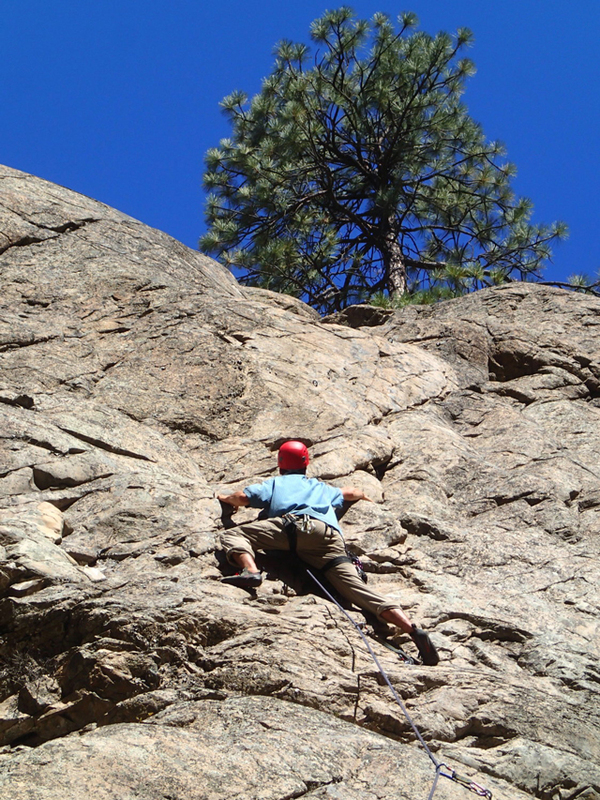 There are now over 90 (mostly bolted) routes established, on good to excellent rock (granodiorite and gneiss), ranging from 5.3 to 5.12+, 50 to 300' long. Lots of climbing variety exists in a relatively compact area. Generally the bolting ethic here expects gear to be used when possible and safe. Be prepared for loose and/or dirty rock in places; helmets are advised!. The grading (especially in the lower grades) tends to follow old school standards, rather than newer and softer trends. A scenic network of multi-use trails that provide an endless range of options for exploration, birding, rock climbing, horseback riding, photography and wildlife viewing. Depending on which paths you take out-and-back routes can range anywhere from a moderate 3 mile hike to a challenging 24 mile calf crusher with elevation gains of 400’ up to 1100’. A trailhead map board will get you oriented but a Green Trails or USGS map will prove useful if you are planning on taking any of the longer cross-country routes. 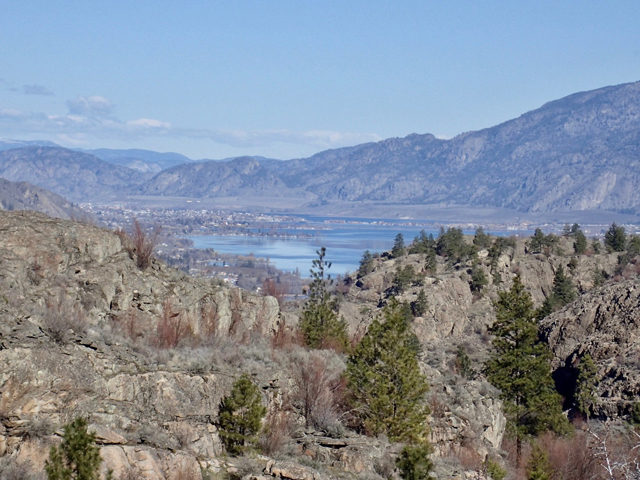 Please note that the trail climbs fairly steeply uphill at first but quickly provides relief in the form of magical views of the Okanogan Valley, the distant Cascades and the eastern escarpment of the Pasayten Wilderness.